Mix flour and cayenne pepper in small bowl and set aside. Place panko crumbs on a plate. Dip squid rings into the EggMates to coat. Toss rings in flour mixture and then dip again into egg mixture. Coat with panko crumbs after the second egg bath. Heat oil (75% canola to 25% peanut) in a large skillet on stovetop. 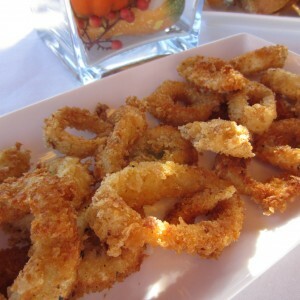 Carefully place squid rings into the heated oil and quickly fry until until golden brown and tender. This won’t take long. Don’t overcook. Remove rings from oil and place on paper towel to drain any excess oils. 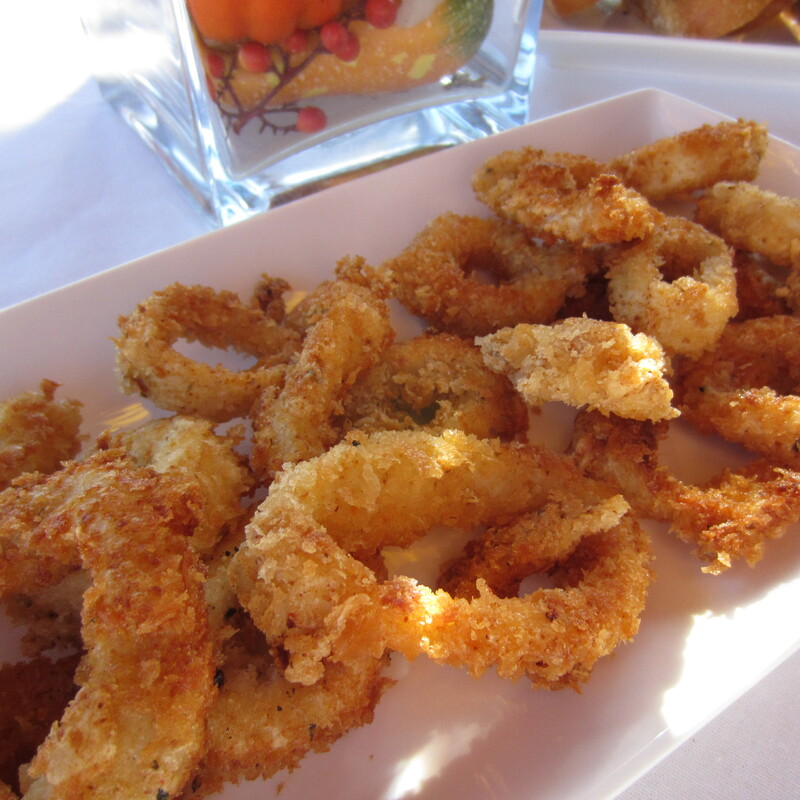 This easily makes 3-4 servings as an appetizer when served with other small apps (like cheese or roasted red peppers). You’re in the neighborhood of 225 calories for 1/2 pound.